Float over Ipswich in a balloon. Mackaway’s Café owner and operator Ben Casey uses aquaponics to grow the café’s produce on site. Food & Entertainment THERE’S something fishy going on at Mackaway's Cafe in Harrisville, literally. 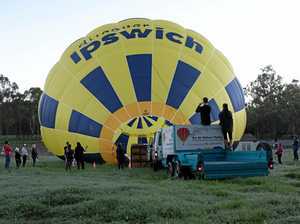 premium_icon Float over Ipswich in a balloon.